Definition at line 3205 of file CCopasiXMLParser.h. Definition at line 3213 of file CCopasiXMLParser.h. 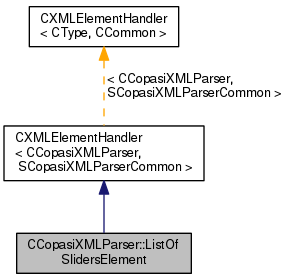 Definition at line 10567 of file CCopasiXMLParser.cpp. Definition at line 10572 of file CCopasiXMLParser.cpp. Definition at line 10623 of file CCopasiXMLParser.cpp. 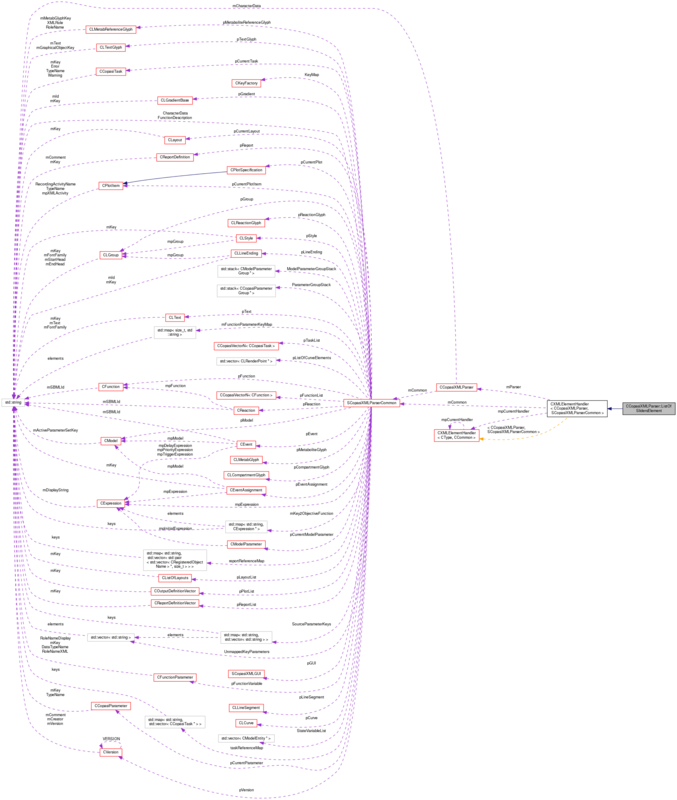 Definition at line 10577 of file CCopasiXMLParser.cpp. References CCopasiMessage::EXCEPTION, fatalError, SCopasiXMLGUI::getSliderList(), CCopasiXMLParser::mCommon, MCXML, CExpatTemplate< CExpat >::mParser, SCopasiXMLParserCommon::pGUI, and UNKNOWN_ELEMENT.